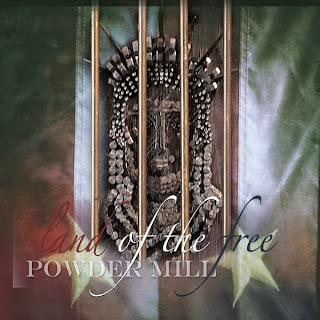 Hall of the Mountain King: Review: Powder Mill, "Land of the Free"
From there, we move directly to a tongue-in-cheek tune with some alternative rock underpinnings in “Knockdown Dragout Love.” The song chronicles the life of a couple that, perhaps, might be better off without each other. Given the subject matter of the song, it’s kind of disturbing in a way how much fun it is, but you can’t help but like it. On a similar note, you’ve got the raunchy “Hot Mess” about a wreck of a woman at the bar that features a funky bass line from Pat McSpadden. High art it’s not, but it is addictively catchy. Rowdy is the order of the day for much of the record. “Wasted Time” rocks with a classic Southern sound that will put you in mind of some the great bands from the 1970s, particularly that grooving guitar piece that hits in the middle and at the end. Hammock delivers the vocals with plenty of attitude to go around, and it’s a great crank-it-up and party tune. “Burke Ridge Road” follows a tried and true country tradition of the somewhat dark song about where you’re from. It puts me in mind of Steve Earle’s “Copperhead Road” for reasons that will be pretty obvious when you hear it. It’s dark and mean, but also a celebration of persistence, survival and pride in the things that make you who you are. On the other side of that coin is “40 Miles West of the Cotton,” a fun, infectious song that invites folks to come on down and check out how things are in the hills where they’re from. Though some of the activities in the tune may not be on your to-do list, by the end, you’re bobbing your head along and, like “Knockdown Dragout Love,” wanting to take them up on their invitation in spite of yourself. 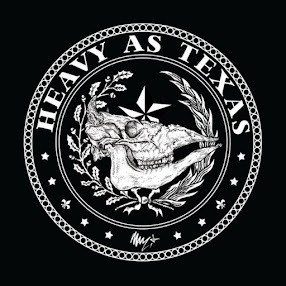 The band takes something of a sentimental turn on “Sleeve,” which despite not being entirely suited to Hammock’s voice, becomes one of the strongest numbers on the record. Hammock delivers some heartfelt lyrics about a man with both a burning love for his wife and a burning need to make music. There’s another surprising sentimental piece in “Nothin’ at All,” which starts out with the tale of a stripper put out of work by a new law passed by a legislator influenced by religious groups. It’s a song that could have gone off the rails in a hurry, especially considering the tone of some of the other tunes, but it’s handled with restraint and explores the consequences of that for the woman and her children. And we later learn an even more tragic fact about the subject of the song, or at least that’s my interpretation of the last verse — which seems to take a turn away from the subject, but I’ll leave that to the listener to decide. Land of the Free closes with “Mississippi Showboat” featuring guest vocals from Jimbo Mathus. The song flows from the perspective of a dry-docked showboat that’s seen its better days. It’s one of the better written songs on the album, and a great way to send it out. 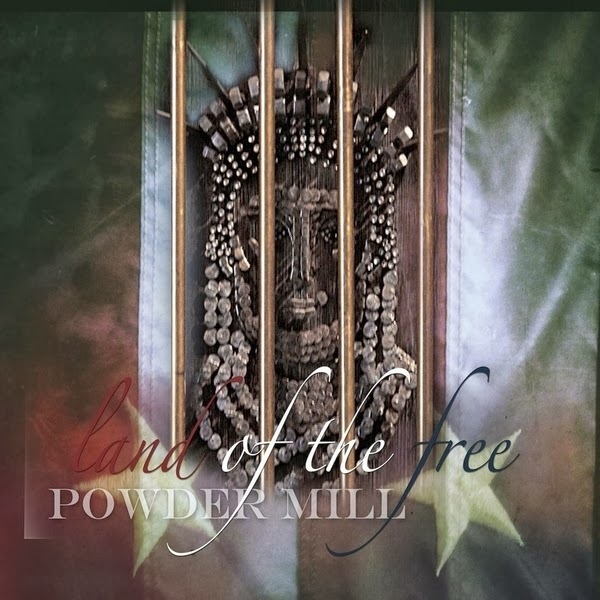 Like Powder Mill’s past work, Land of the Free ain’t always pretty, and it ain’t always nice, but it is a lot of fun and there are some deeper moments to be found beyond the loud and rowdy tunes for those willing to look.